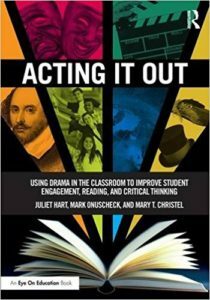 “Acting It Out” on sale now! For more than 10 years, TimeLine has been stepping off the stage and into the classroom with its Living History Education Program. Led by founding Company Member and Director of Education Juliet Hart, Living History’s teaching artists collaborate with classroom teachers to create lesson plans that illuminate the themes of TimeLine productions and connect them to each classroom’s curriculum. 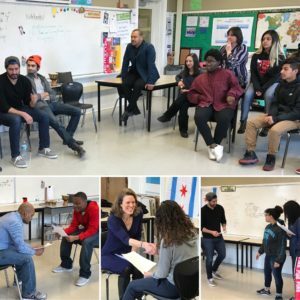 Over the course of these residencies, students work on scenes from the show, are provided with study guides that help them understand the play’s themes, and even have the opportunity to meet the production’s actors and dramaturg and attend a student matinee of the play. A privilege to work on this project!